Eurodollar is still moving very close to correctional level of 50%. If bears rebound from it for the third time, pair will start new descending movement towards lower area, where there are several fibo-levels. 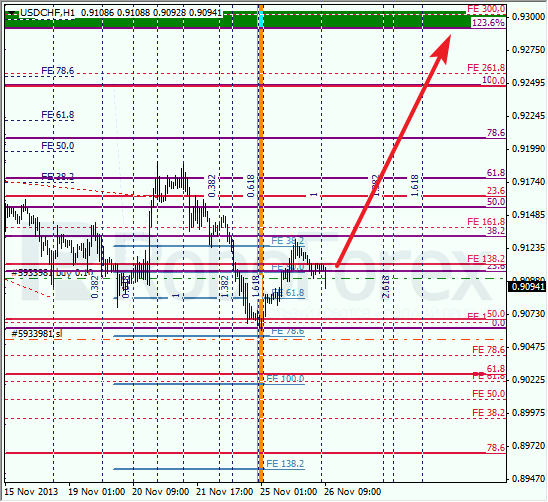 As we can see at H1 chart, earlier pair rebounded from level of 50% right inside one of temporary fibo-zones. Current local correction has already reached level of 78.6%, right now pair is to rebound from it. I’m planning to increase my short position as soon as price breaks yesterday’s local minimum. After making fast ascending movement, which started after rebound from level of 50%, Franc started new correction. I opened short-term buy order with stop placed at local minimum. Pair may break yesterday’s maximum during the day. 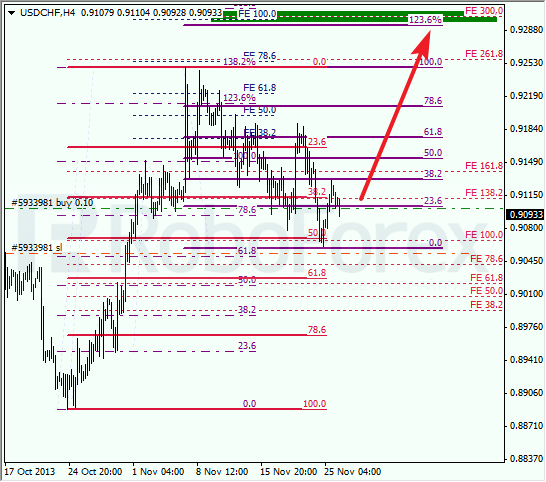 At H1 chart, we can see that pair rebounded from levels 50% inside temporary fibo-zone. Most likely, right now pair is starting new ascending movement and may reach upper fibo-levels quite soon. Later, these levels may become starting point of new and more serious correction.